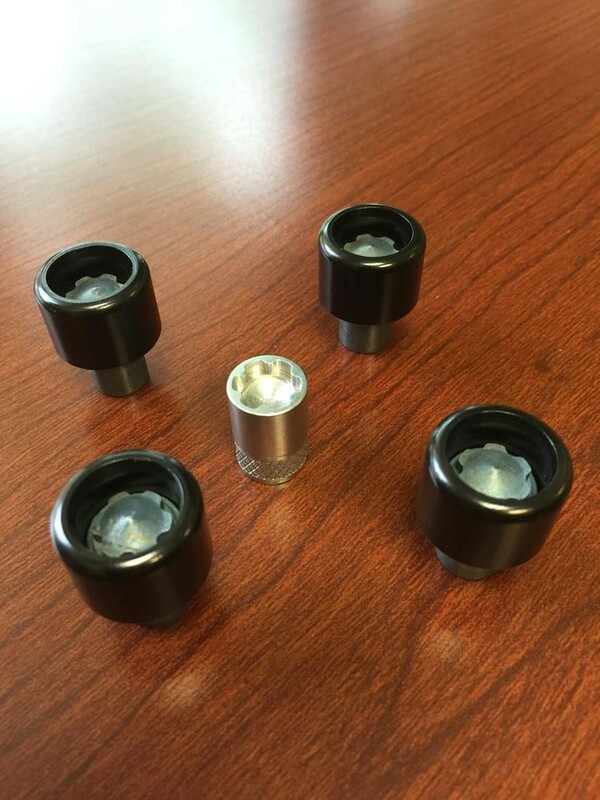 In working with McGard on my lug nut/wheel lock solution, I discovered that they also make a product to lock the Jeep doors to the vehicle. 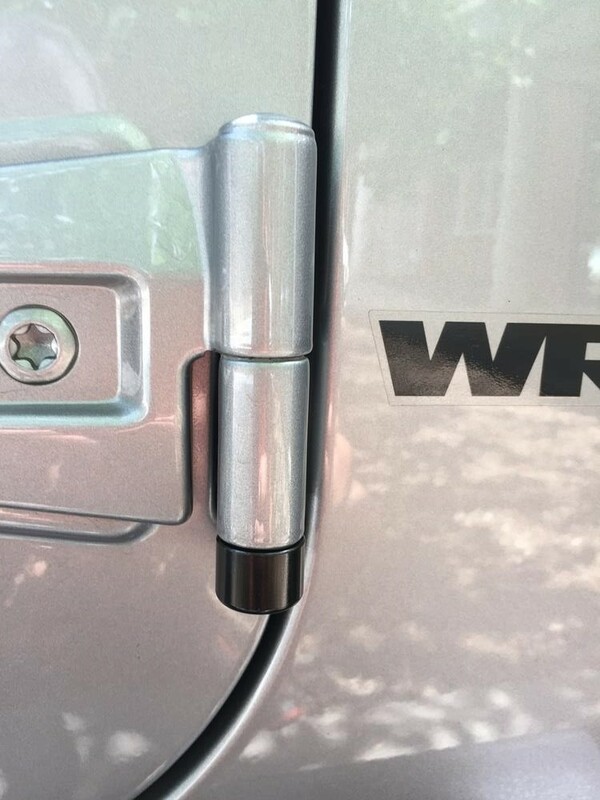 The Jeep’s doors can be easily removed once the hinge nuts are unscrewed and the door is unlocked. Easy for us, but also easy for thieves. 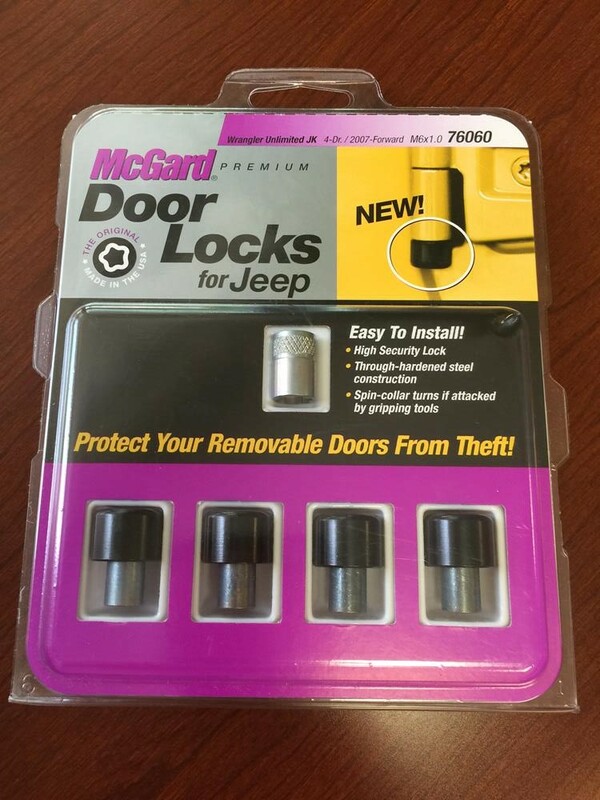 McGard sent their 76060 kit for the 4 door Wrangler which contains (4) door locks and a lock tool. I decided to put one of the locks on both hinges of each door. Really, one lock per door is all that is necessary. I started by using a T50 torx wrench to remove the OEM hinge nuts. 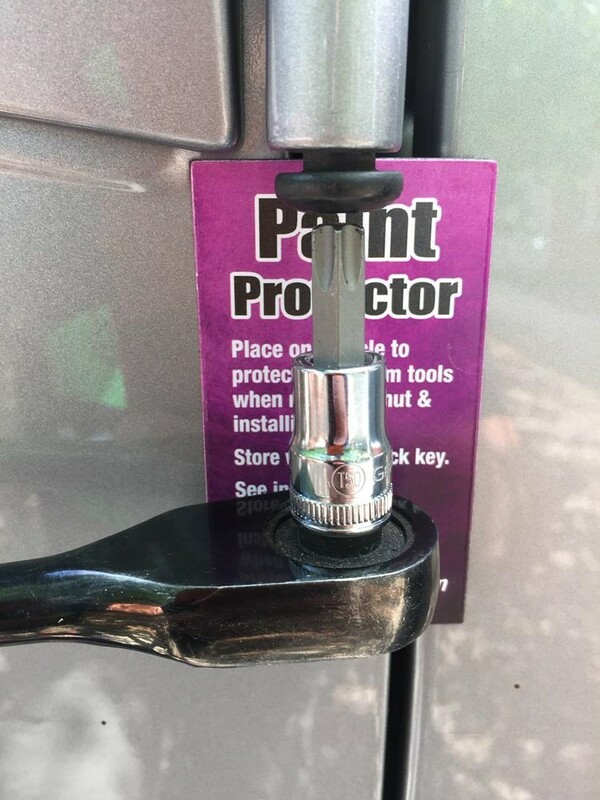 McGard provides a small magnetic paint protector to keep you from doing the unthinkable during this process. Then, I hand turned the locks into place. To finish the installation, I snugged up the locks with the lock tool and a 1/4″ ratchet. A thief will not have the lock tool, so he is out of luck. If he tries to put some sort of gripping tool around the outside of the lock, the spin collar will turn and he will get nowhere. 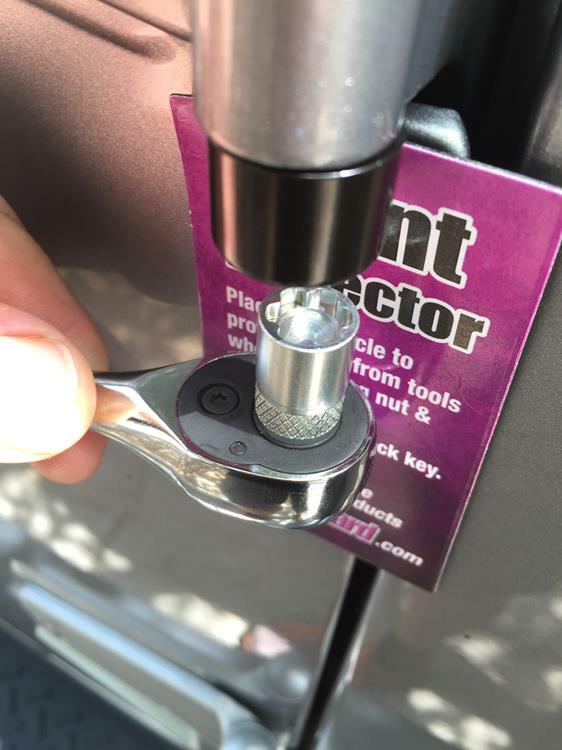 An easy addition to gain some further piece of mind regarding your Jeep!